Make 4 interest-free payments of $23.75 fortnightly and receive your order now. Click here for more information. 1. Kuwaii Pearl – the “Stone of Truth, Faith and Love,” enhances personal integrity and helps provide focus and wisdom. 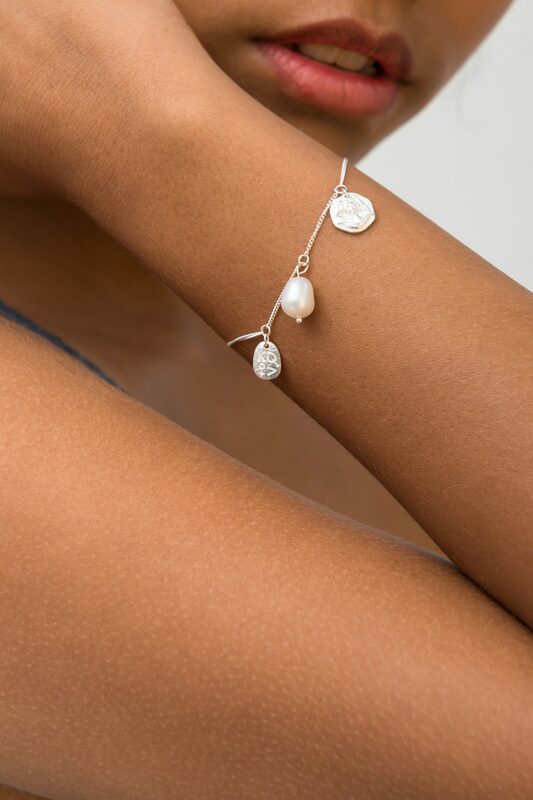 This fresh water Pearl signifies sincerity, faith and loyalty. 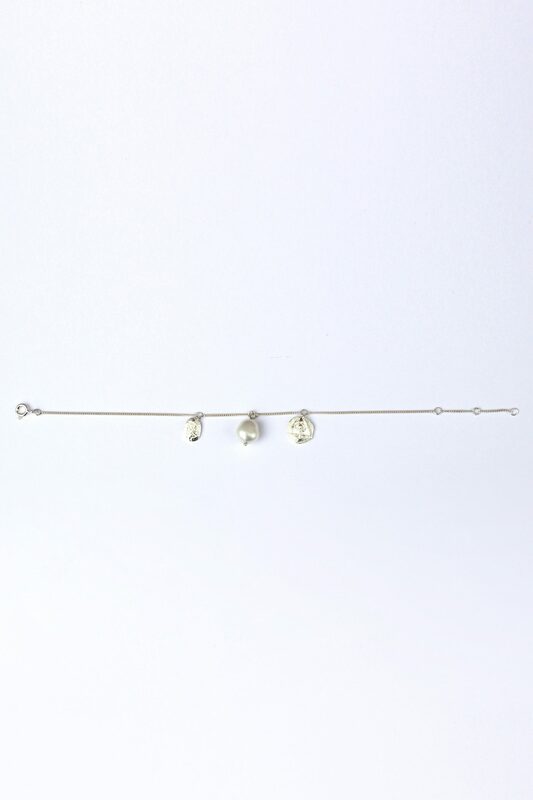 The Kuwaii Charm Bracelet is a total length of 19cm. Silver – our Silver pieces are solid .925 Sterling Silver – perfect for everyday wear for its combination of beauty and durability. When taken care of correctly, sterling silver jewellery can last you a lifetime, and we love it because you can leave it on day in and day out, and it will wear beautifully. Silver care – To minimise scratches and other damage, store your silver jewellery either in a cloth pouch or in a separate compartment in your jewellery box. Avoid exposing your silver to household chemicals when cleaning, or when swimming in chlorinated water, as these chemicals can damage silver. To clean, buff gently with a soft and dry 100% cotton cloth.